"Buildings inspire my style, I guess. 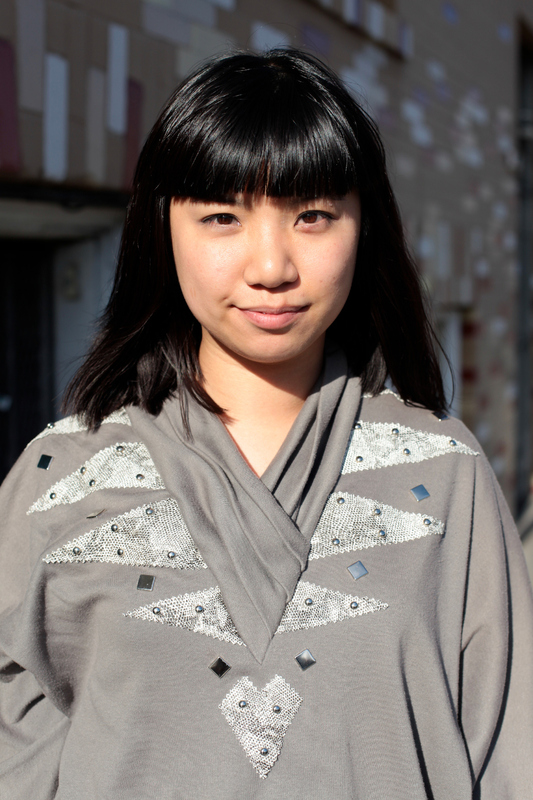 I'm an aspiring architect so..."
A cool adorned sweatshirt, it reminds me of the popular gem sweaters that Leslie Hall made popular. But now with a modern twist (on both gem sweater and sweatshirt) and cool bangs and silver shoes to match. I can't wait to walk-thru one of Susanna's future buildings. 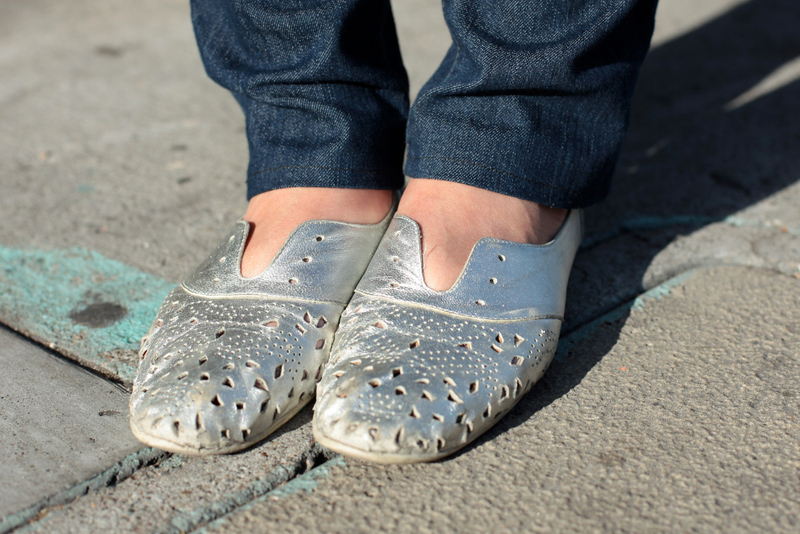 Great F-Troupe perforated silver oxfords.